Want to be hired by Dwayne? 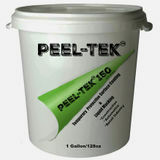 This position is a liaison between Peel-Tek, LLC and the customer. The position is responsible for the coverage, retention, development and customer satisfaction of customers in assigned territory relating to matters of product placement and sales support. This position will also be responsible for establishing the Company’s branding support in the assigned territory. Target Markets: Big Box Stores, Paint Companies, Automotive Paint Companies, Home Recovery Companies, Crafting Companies, Paint Contractors, and any other company where masking and surface protection would be implemented. Looking for a Salesman to close SEO leads. Commission is provided, paying commission per lead closed.